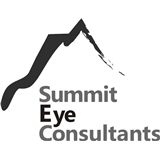 Summit Eye Consultants (Bainbridge Island) - Book Appointment Online! Summit Eye Consultants is the private practice of Dr. Jacqueline Wong. A comprehensive ophthalmologist and retinal specialist to boot, Dr. Wong is dedicated to offering full time specialty and general eye care with state-of-the-art technology. Specific services include macular degeneration treatment, specialty diabetic eye care, retinal laser and surgery, glaucoma exams, comprehensive eye evaluations for the whole family, as well as contact lens and glasses exams. Conveniently located in the Doctor’s Clinic building, office hours run from 8:00am-5pm, Monday through Friday.